Faeria was seven years in the making, from conception through to Kickstarter, alpha, and final release. During that time, the landscape for competitive collectible card games has shifted, and Belgian developer Abrakam has changed with it. Launched in 2017, Faeria previously employed the microtransaction booster pack approach that is ubiquitous within the genre but, as of last month, Abrakam has taken a step back and gone premium. 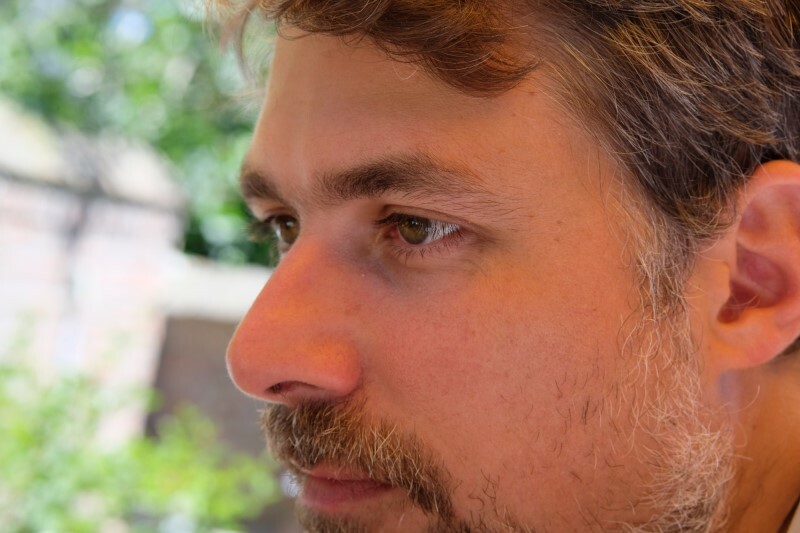 As Abrakam CCO and studio founder Jean-Michel Vilain tells GamesIndustry.biz, that decision to launch first as a free-to-play game is something the developer now regrets. "We felt the need to go back to our roots," he says. 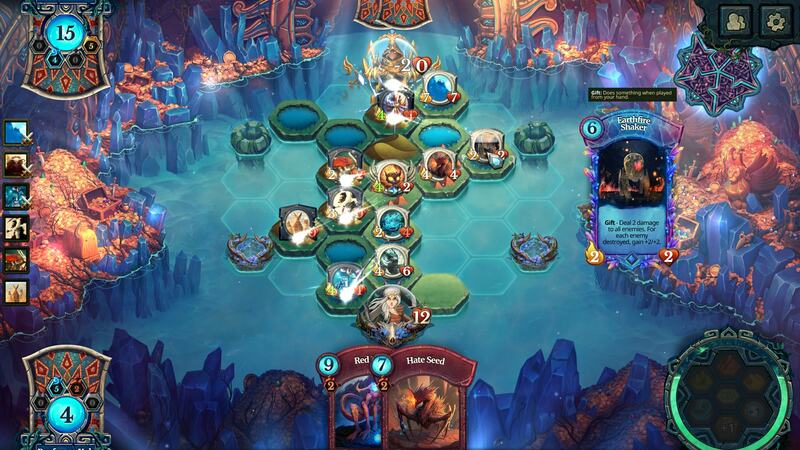 "Originally when we were back in 2010 we never planned to make Faeria a free-to-play game. We were already reacting to the fact that we knew lots of players were quitting Magic [the Gathering Online] because of the constant need to spend a lot of money into the game, and there is some frustration that grows. "Of course it is a great way to monetise your product. But after a few years, people get tired of it and they want to try something different. I think still it's good timing for us. I expect that a good portion of the audience of other free-to-play card games will get a little tired of the model and some of them will look for a proper game experience. "I don't really see why after all, when you play a card game you would always enjoy the choice between grinding hours for cards, or sinking more and more money into the game. I don't think this choice is necessary to make a card game, and we've got all the means we need for doing it and making it happen with the digital medium." "I don't really see why after all, when you play a card game you would always enjoy the choice between grinding hours for cards, or sinking more and more money into the game"
It was, Vilain explains, the announcement of Hearthstone by Blizzard that threw a wrench in the works, and caused the studio to first rethink its position. "We saw Hearthstone coming out and we believed [Blizzard] was setting a standard in the way they did with the MMO, and we felt smart to identify that, but we did not foresee the huge wave of CCGs that would do the same," he tells us. At the time, Abrakam felt that learning from certain aspects of Blizzard's game was the sensible choice. The studio even scrapped its alpha in 2014 after seeing Hearthstone, realising the pacing of Faeria was way off, and that Blizzard was setting a new gold standard for CCG's. "In terms of pacing and smoothness of the gameplay we were absolutely right to get inspired by Hearthstone," says Vilain. "But [regarding the] business model we should have stayed true ourselves... we clearly regret that we could not stand true to our core value at the time and in a way we think it would have been better to keep going with our initial idea." This was not an easy decision to communicate to fans but, as Vilain explains, Abrakam as a studio felt it was the right thing to do, especially given that it had promised a buy-to-play model on its Kickstarter. "In terms of pacing and smoothness of the gameplay we were absolutely right to get inspired by Hearthstone. But [regarding the] business model we should have stayed true ourselves"
"We spent a lot of time thinking about how we could satisfy everyone from the free-to-player--the person who on purpose will never spend a dollar--to the person who will spend a few hundred. We did things like if someone has spent at least $40 in the game, they got access to the premium DLC which we also released along with the game. We paid lots of attention to that and we think it was really worth it when we see the reception." While Vilain admits the shift is potentially less profitable than free-to-play, he says Abrakam wanted to provide audiences with a "fair business model" for CCGs. "There is a good lifespan ahead for loot boxes," he says. "It's a proven recipe. Human psychology likes uncertainty. We like opening gifts and get satisfaction from new toys. Honestly I think there is still a good time ahead but I am pretty sure that we are really close to the point of maturity for that." Of course, microtransactions and additional purchases have not been completely removed from the game; players can still spend money on cosmetic items, and Abrakam has a roadmap of DLC planned which will see 20 new cards arrive in the game every month. But, according to Vilain, the important thing is that any player can access the entire basic deck of 350 cards with a one-time purchase. From there, they can unlock the cards by simply playing the game, without having to worry about losing out to players who have simply spent more money. "We clearly thought about optimising out looting system, retention and monetisation mechanic," he concludes. "But in the end we decided to spend all of our energy into ensuring we deliver stunning and innovative gameplay, and not on those things."